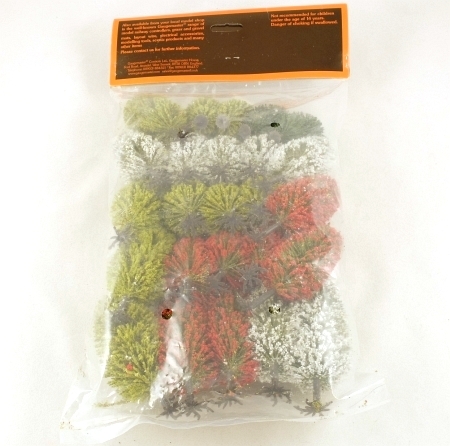 An unopened pack of 25 assorted model trees with springtime blossom and foliage. 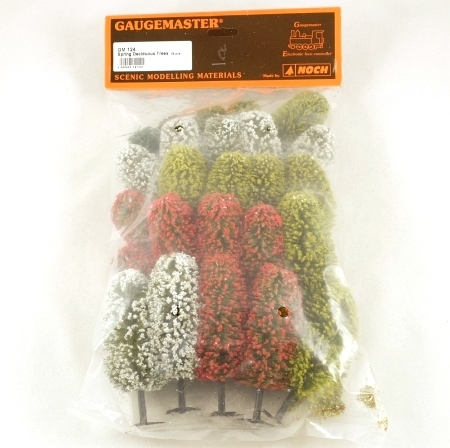 Suitable for OO/HO model railway layouts and other scenic applications. Height is the approximate height of the tallest tree.